Every diet has its purpose and place in life. We are not talking about diet fads or commercial dieting plans or other disastrous marketing schemes that are designed to rip off money much more than pounds. We’re talking about health diets that have been conceived with good intentions which can actually pave the road to hell … physical hell, that is. The RAW FOOD diet fits this description perfectly. We already hear the chorus of the thousands who have been helped by a raw food dietary regimen. And we don’t dispute the great results that you have received. Many have followed the Raw Food diet at a time when they were desperate, sick, tired and operating with a very low quality of life. Many were lifelong meat-eaters who went raw for the first time and got superb results. We’ve done it ourselves and we know many who have had the very same positive experience, however…. However, when one adopts the very same healing, reducing, detoxifying diet for the rest of the year, decade, or their entire life they make a HUGE blunder. According to Ayurveda, a raw food diet should only be engaged for specific period of time which is first and foremost dictated by your Ayurvedic body type. 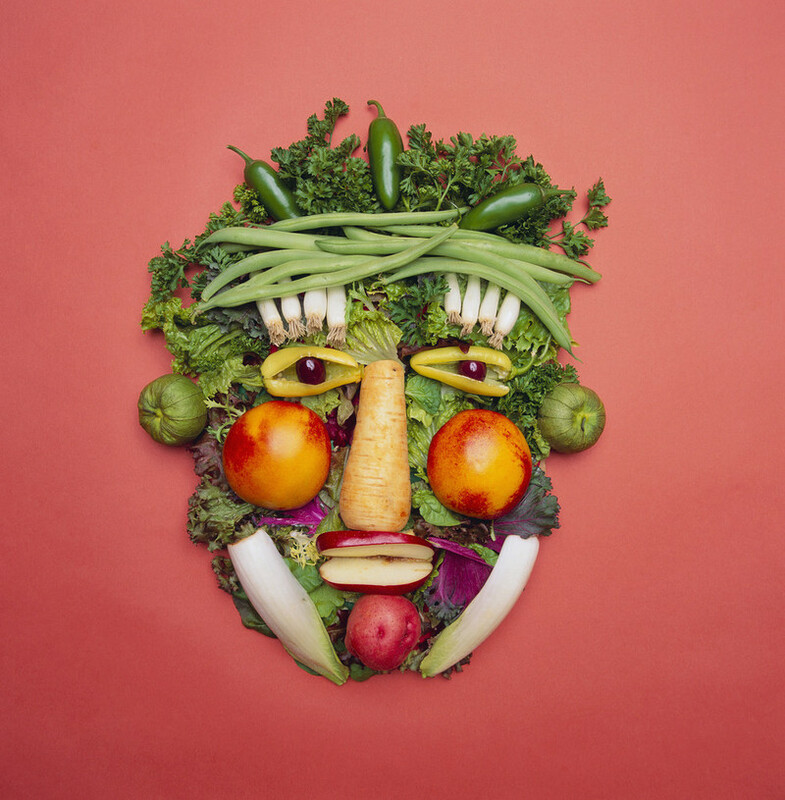 The appropriateness of the Raw Food diet is also determined by several other factors including the season of the year, your weight and height, your body mass index, metabolic type, your chronic nutrient deficiencies, history of mineral depletion, tendency towards hypo or hyper glycemia, among many other criteria. Looking closely at the aforementioned profiling info, health parameters and overall body status is the first smart thing to do before going raw. It may sound like a drill, but it’s actually very easy. You can do it yourself if you practice self-observation and know your body well. Working with an experienced nutritionist who is grounded in Ayurveda, Traditional Chinese Medicine (TCM) or other holistic disciplines which have conferred the right knowledge and clinical insights can be very helpful. 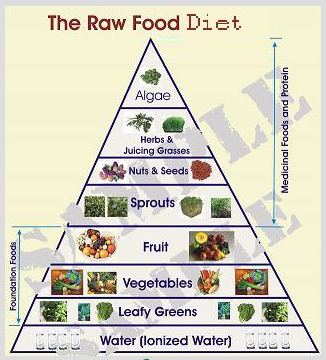 So, what’s the issue surrounding the Raw Food diet which is frequently offered as the cure-all for so many maladies? Let’s answer that question by asking you, the reader, some very telling questions. If you’re thin and a bit emaciated and living up north in Minnesota, would you want to be juicing tons of vegetables, eating cold fruit interspersed with lots of raw leafy green salads … in the middle of the winter? If your digestive capacity has been compromised after years of processed, packaged, frozen food would it be ready to properly digest raw carrots, broccoli, celery or radishes? If you have a high metabolism and cold hands and feet, how soon will you recoil from the next piece of fruit, raw vegetable or romaine lettuce salad? When you go RAW only, be sure you know what you’re doing. We’re not saying these various raw foods aren’t healthy, wholesome, and very good to eat. We’re saying – categorically – that it may not be right for you to eat raw food exclusively for a month, a year or even a week. It all depends on where you really are because if you do engage the Raw Food diet at an inappropriate time you will further imbalance your body. About that there is no doubt. We are often reminded of the local nutritionist, who is the community healer and dabbles in TCM. He would often remark how many of the hippies and beatniks and lifelong vegetarians who would come to him would all be so obviously unhealthy with severe imbalances…significantly more unhealthy than those on regular All-American fare. It was not the vegetarian diet that was the problem since vegetarian is the ONLY smart way to go. It was the raw vegatarian diet that these folks had regularly eaten for many years. Please know that vegetarian and raw vegetarian are two completely different food diets — as different as night and day! It is the latter which we have been talking about here. And it is this profound and prevalent misunderstanding which dominates the diet marketplace, causing much improper eating and forced food plans ‘foisted’ on individuals and families alike. Shall we get into the Ayurvedic science a little to demonstrate our deep concern about raw food diets being eaten ad infinitum? In Ayurveda a strictly raw food diet is known as a reducing diet. It is very high in natural enzymatic activity and has a very short transit time in the GI tract. It also represents a modified fast of sorts, so losing weight with it should be no problem for most. As such it will allow for the sloughing off of a lot of toxins, especially those stored in the adipose tissues. 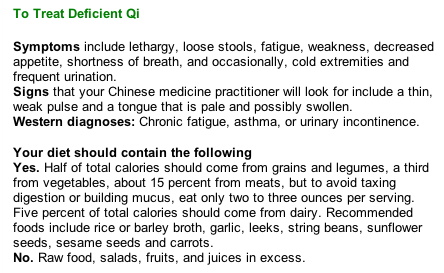 Since it is not easily digested for most with semi-normal digestive capacity (a cow has 5 stomachs to digest grasses), it will “gum up the works” over time. The body will then have to process more ama, the sticky toxin which forms throughout the body after years of improper eating and diminished agni (digestive fire). So perhaps you can already see whether such a cleansing diet is right for you. Surely you can see why some individuals might not undertake such a radical change in diet because of their current physical deficits, mineral depletion, nutrient deficiencies, various chronic illnesses and congenital diseases, etc. The point is that a strictly Raw Food diet (RFD) does stress the body in a number of ways, and some may not be in the position to properly weather those stresses. Timing is everything when embarking on this type of deep cleansing detox program. The lightness and airiness of some of the food in the RFD will ultimately begin to affect the temperament as well. If an individual is already high Kapha, their Vata will become further aggravated. Likewise, because most raw food is cooling in both quality and temperature, those with low agni will become cold or cool especially if they eat this way in the dead of winter. Some raw food is not very easy to digest even for the most robust digestive system, and therefore we see a problem with proper absorption, uptake and assimilation of the many nutrients and broken down constituents. When this predicament is allowed to continue unaddressed, they become emaciated, sickly, weak, tired, irritable and depressed. It’s probably a very good time to point out that, depending on your Ayurvedic body type, there are certain foods, spices, herbs and beverages that are better for your body. A Kapha type would want to stay away from too much dairy, meat, wheat or sugar because of their predisposition toward getting fat. Those particular foods constitute adipose tissue (aka fat) very easily and they can therefore choose foods which are lighter and easily digested. A Vata type with weaker digestive capacity might require those spices which promote digestion like ginger. A Pitta type who is already dealing with heat or inflammation would want to avoid hot foods, especially those which might add to an inflammatory arthritic condition like hot peppers or tomatoes. Above all, the human body loves food that satisfies the basic six tastes – Sweet, Sour, Salty, Bitter, Pungent, and Astringent. The more this is done in a truly balanced way the more fulfilled one will be at the end of each meal, thereby eliminating cravings, addictions or overeating. Satiating the appetite is different than satisfying the genuine needs of the body. When we focus on the latter, deficiencies will naturally correct themselves over time. You make a fruit salad. You prepare a spinach salad. You juice your carrots, celery,cabbage or beets. You peel your banana, apple or orange. You eat your raw cashews, almonds or sunflower seeds. You grow your mung sprouts or make your rejuvelac. You grow and juice your wheatgrass. You stir in the spirulina or other blue-green algae. Again, this highly detoxifying diet has its place on many a healing journey. It just does not qualify in any way to be an individual’s primary diet for any length of time. Far too many imbalances will be created which will have to be dealt with sooner or later. Cooking food is a way of pre-digesting it. It makes the nutritional constituents much more bio-available. Cooked food therefore requires less energy from the body to break it down in a form where it can be used for growth and repair. Also, when different foods are cooked together they lend their positive properties and have their less compatible qualities mitigated, so that the deficient body type can receive what it needs from that particular food group which may be necessary for healing. We will conclude this coaching session by stating that the Raw Food diet can be a good way for some to break the cycle of the typical processed food, fast food, restaurant food eating style. Many are able to make a clean break from their previous self (you are what you eat) and truly take back their bodies from the fast food society. This is a very positive development. HOWEVER…. You already heard the however so be careful, be watchful and try to avoid the temptation of getting into a dietary groove that your body may regret later.